Mangaluru, June 18, 2016 : In a case of suspected murder, a youth who was out on a hunting expedition with his friend has died of bullet injuries. The incident was reported from Halageri Myakodu forest area near here on June 17, Friday night. The deceased has been identified as Prashanth Shetty (23), son of Vittal Shetty. 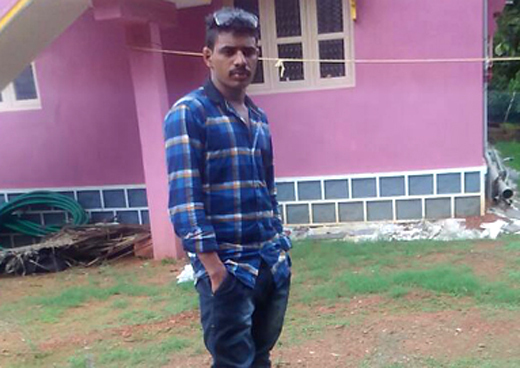 It is said Prashanth was invited for hunting by Ankith Shetty who had even taken along with him a gun belonging to his father. Sources said at around 2 am, Prashanth was hit by a bullet on his chest. Though he was rushed to the hospital, he died on way. Locals have expressed suspicion regarding the cause of the death of Prashanth. Even the statement given by Ankith that Prashanth was shot dead by a group of four to five persons which was also present in the forest has given room for doubts. He also stated that the assailants escaped by a car. Meanwhile, Police have taken Ankith into custody and have also seized the gun in his possession.